15-Years-Old, Jordan Edwars lived in Balch Springs, Texas. He was a first-year student at Mesquite High School where he played football. On 29th April 2017, Jordan Edwards, a black teen was shot in back of the head by Ex-police officer, Roy Oliver (37-Years) in Balch Springs, Texas and was pronounced dead at a local hospital. Officer Roy Oliver fired three rifle (armed with an AR-15 semi-automatic) rounds into a vehicle, striking Edwards in the head and killing him. In the car there were four more. Two were Jordan's brothers and another two were his friends where his brother (16-Years), Vidal Allen was driving the car. At the time of shot, Jordan was riding in the front passenger's seat of a vehicle driving away from a party and he was unarmed. On 5th May 2017, Roy Oliver, was fired from the police department and was arrested. He turned himself into police later that day and was released after posting $300,000 in bail. On 3rd May 2018, Oliver's murder trial was postponed for a second time, and was rescheduled to begin August 20. On 28th August 2018, Oliver, ex-cop was found guilty of murder. 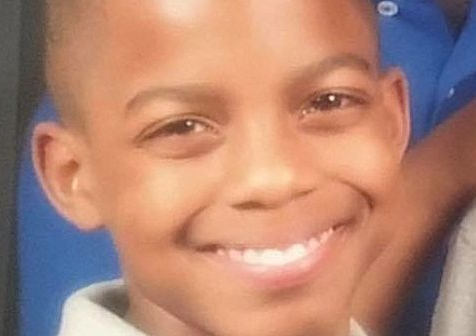 Thousands of people began using the hashtag #jordanedwards on social media in response to the shooting. The mother of Jordan Edwards thanked jurors Tuesday for convicting her son's killer rather than letting him "walk away". Daryl Washington said, "It's about every African-American, unarmed African-American, who has been killed and who has not gotten justice". He added what happened to Jordan never should've happened. Authorities said they found evidence suggesting Oliver "intended to cause serious bodily injury and commit an act clearly dangerous to human life that caused the death". According to the Washington Post Fatal Force database, more than 980 people were killed by police in 2017. Previously, in the year 2013, Roy was supposed to testify in a DUI Case for being angry, hard to contact and using vurgal language and was suspended for two days.